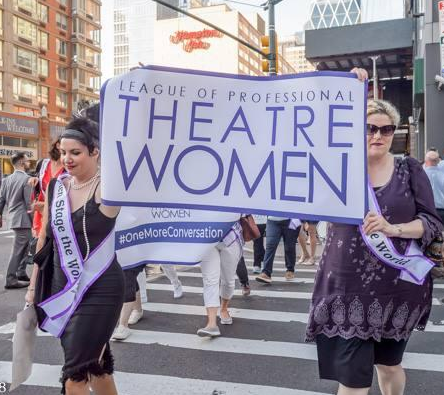 On Tuesday, June 12th, the LPTW partnered with Actors’ Equity to march through the NYC theatre district and shed light on the lack of gender parity in the field. 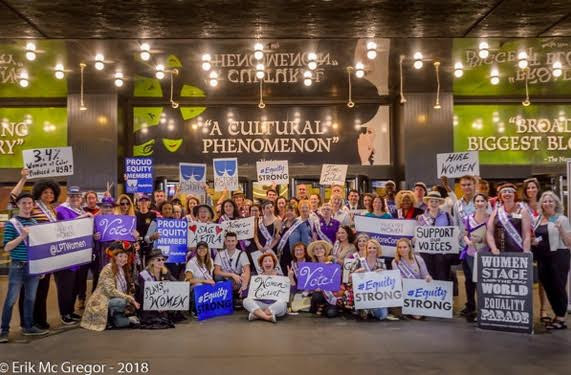 See below for photos from the inspiring event. The parade begins with a fantastic turnout. 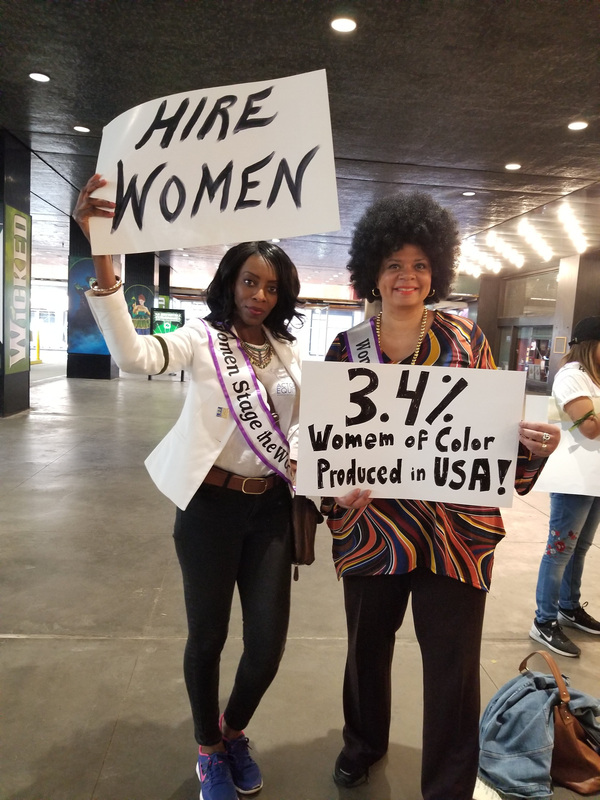 Nicole Smart, Actors’ Equity’s Diversity Director, poses with the LPTW’s new Co-VP of Programming, Yvette Heyliger. 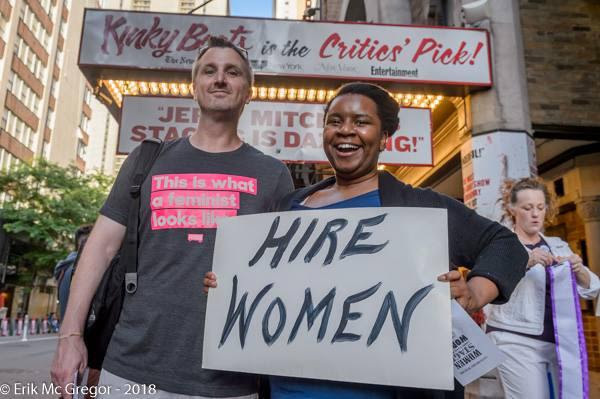 Brian Stokes Mitchell, a Tony Award-winner and Chairman of the Actors Fund, proudly participates in the march. 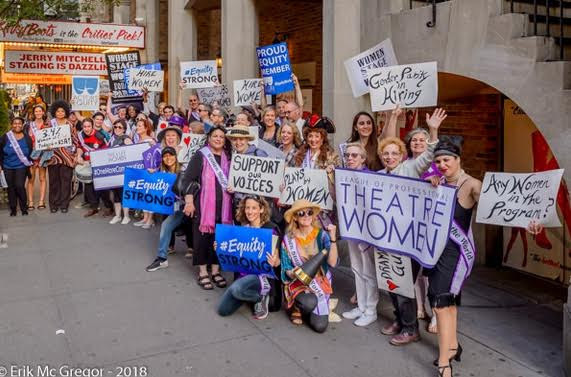 Marchers hold signs demanding gender parity in theatre. 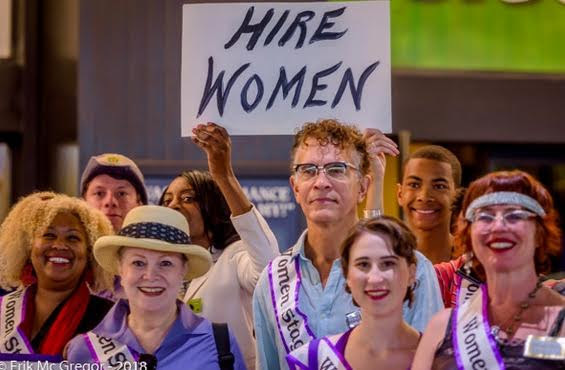 Former Board Member Romy Nordlinger and new Co-President Catherine Porter hold an LPTW banner. 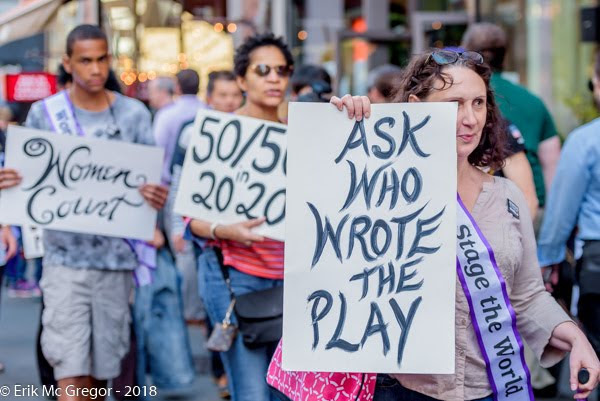 Theatre professionals come together to advocate for representation in the arts. 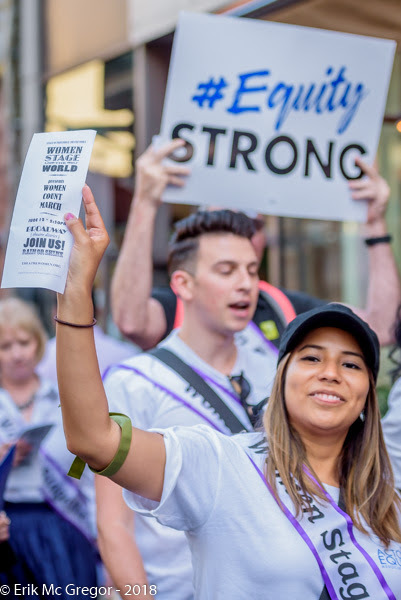 Viviana Vargas, Actors’ Equity’s Diversity & Inclusion Coordinator, hands out flyers with facts from the LPTW’s Women Count report. 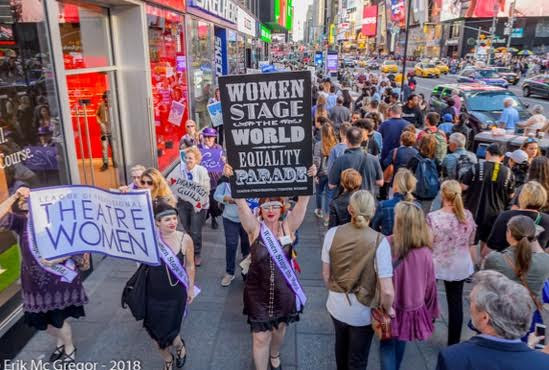 The parade is enthusiastically received by crowds in Times Square. A joyful experience was had by all!